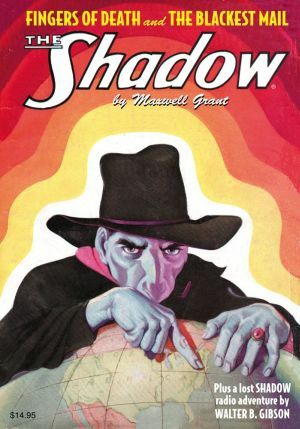 The Dark Avenger searches for Revolutionary War treasures in two never-reprinted pulp thrillers by Walter. 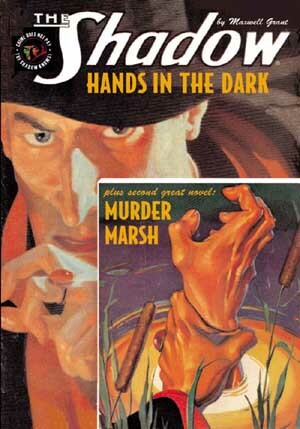 B. Gibson. 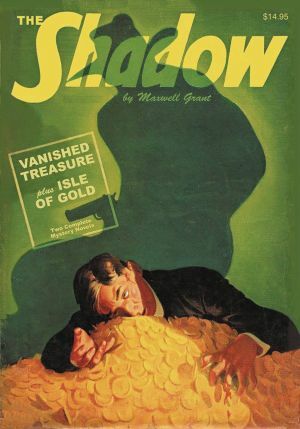 First, The Shadow confronts a ghost when a deadly inheritance dating back to the American Revolution sets cousins against each other in their pursuit of “Vanished Treasure.” Then, the Master of Darkness follows a dead man’s map on a deadly treasure hunt that leads to the “Isle of Gold.” This instant collector’s item showcases the classic color pulp covers by George Rozen and Graves Gladney plus Edd Cartier’s original interior illustrations, with historical commentary by Will Murray.